These versatile Flow Controller switches may be used to establish flow/no flow control of metering pumps in various applications. These pre-wired self-contained flow switches were specifically designed for homeowners and others to make it quick and easy to install metering pumps. Just plug the cord into any 115v outlet install the flow switch in the piping and plug the metering pump into the pre-wired receptacle. As soon as there is flow of water the metering pump will turn on. Turns feed pump on at 0.5 GPM with a max. operating pressure of 150 PSIG. 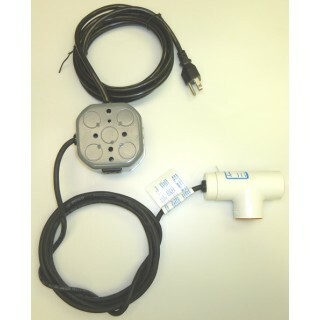 Flow Switch 0.5gpm 150psi These versatile Flow Controller switches may be used to establish flow/no flow control of metering pumps in various applications. These pre-wired self-contained flow switches were specifically designed for homeowners and others to make it quick and easy to install metering pumps. 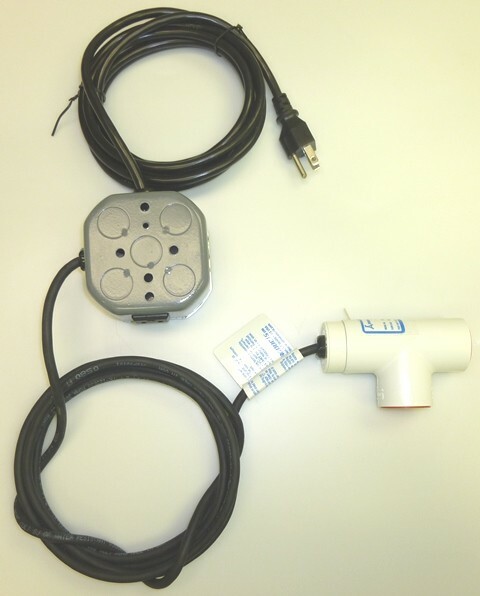 Just plug the cord into any 115v outlet install the flow switch in the piping and plug the metering pump into the pre-wired receptacle. As soon as there is flow of water the metering pump will turn on. Turns feed pump on at 0.5 GPM with a max. operating pressure of 150 PSIG.